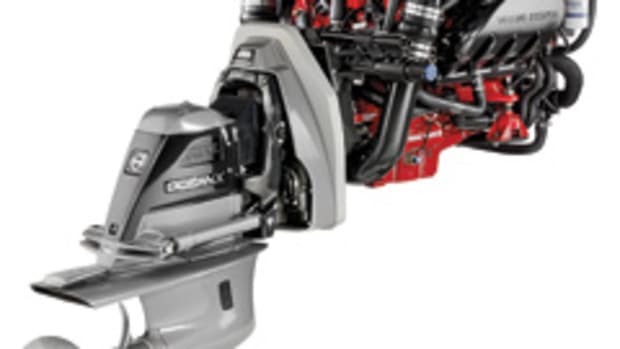 Last month we looked at the challenges and benefits of repowering outboard-powered boats. This month, the spotlight shines on inboard and sterndrive repowering. Careful consideration of your options and the tradeoffs you face will be critical to the success of your repowering project — or your decision not to repower. We tapped two repowering pros who offered advice that serves as a starting point for those thinking about upgrading their current diesel or gas engine, or jumping from gas to diesel or vice versa. The first step: Decide whether you really need to repower. 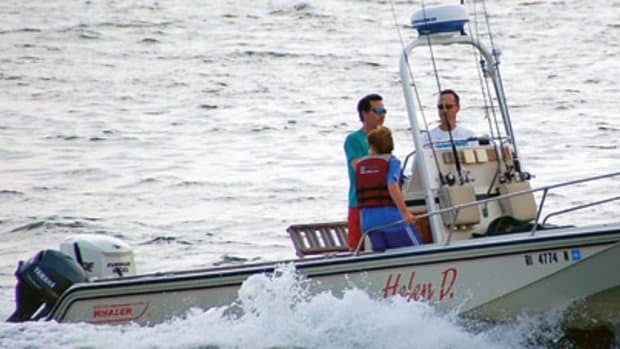 Your boat may be performing poorly because of a number of reasons not having to do with the engine(s), such as improper propeller diameter or pitch, a fouled bottom, a weight distribution issue, or a poorly tuned engine or other mechanical issue. Another factor that continues to plague engines is contaminated fuel, particularly fuel with ethanol and the problem of phase separation. Your filtering systems must be maintained meticulously, and the fuel should be treated so it won’t deteriorate during prolonged periods of non-use, such as winter layup. 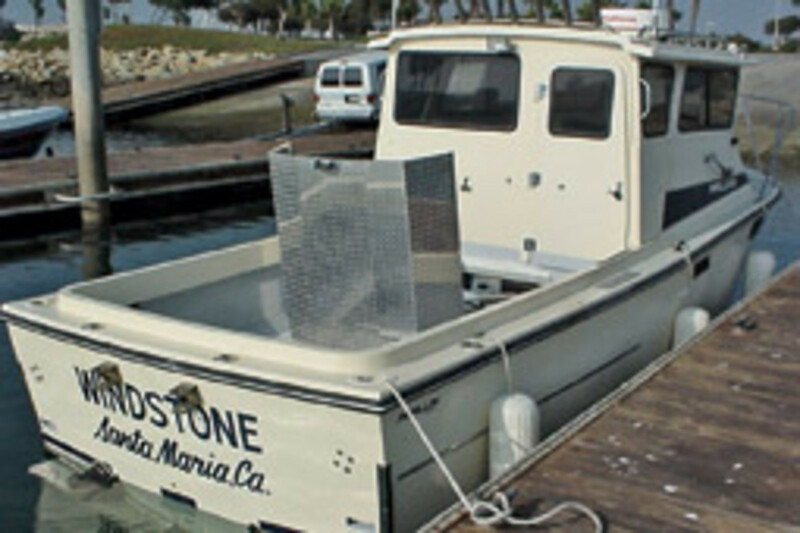 You must also determine whether the boat is worth the expense of a repower. 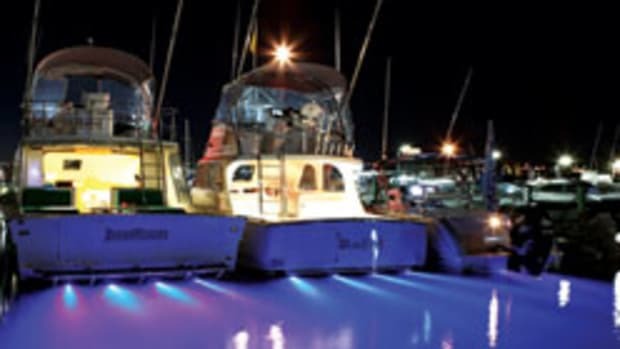 Most boatyards recommend the owner have a survey conducted before going forward with the project. Boats constructed with cored laminates need special attention. A wet core material can compromise hull strength, and new, more powerful engines could damage the hull. Among the most obvious benefits of new power is that a boat begins another life. The plusses of repowering include increased reliability, better speed and fuel economy, lower engine noise, and a reduction in smoke and fumes. 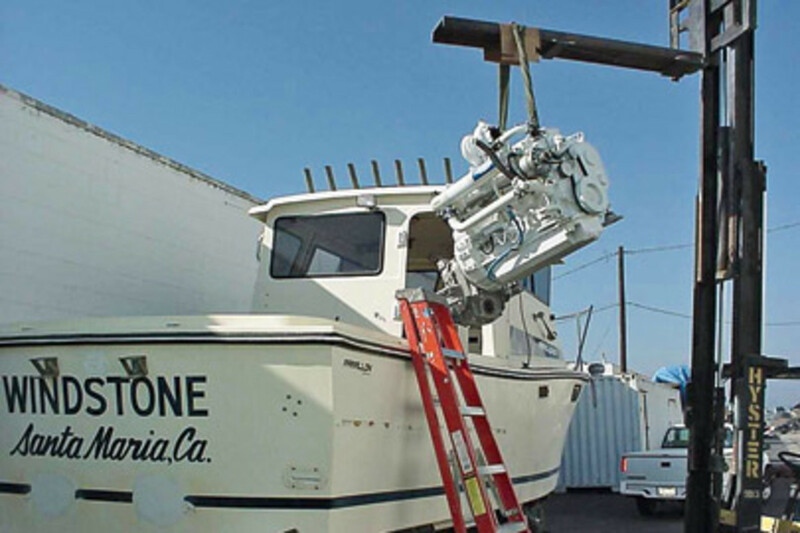 After Tolchester repowered a 36-foot 1973 Hatteras, the owner was so pleased with the increased performance that she hugged and kissed Bramble and the rest of his crew. 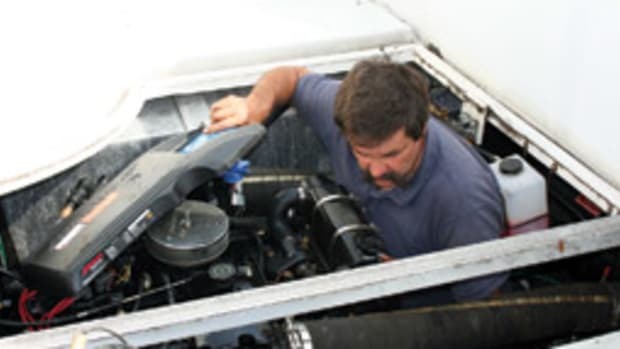 Tolchester workers replaced the twin 210-hp Cummins diesels with a pair of 370-hp Cummins engines, increasing the boat’s top speed from 12 to 29 knots. “She said, ‘You’ve made boating fun again. This old boat can zip by the newer ones,’ ” says Bramble. 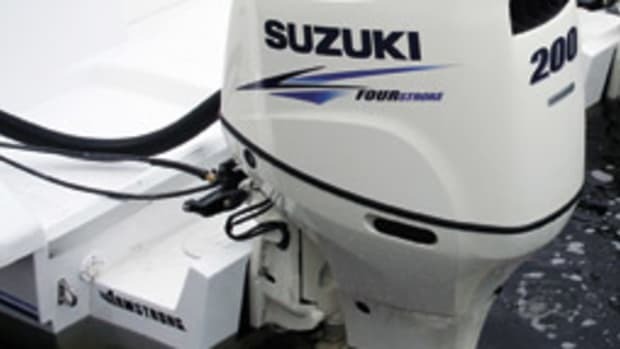 Some manufacturers, such as Cummins MerCruiser Diesel, offer reconditioned engines that cost about a third less than new models, says Bramble. In the last four years, Tolchester has repowered about 50 boats with reconditioned power plants, he notes. Switching from gas to diesel, or vice versa, obviously presents a host of issues to address, but upgrading within the same type of power presents its own considerations, says Soundings technical advisor Erik Klockars. Klockars, an independent technician who operates out of Niantic, Conn., juggled five repowering jobs this winter. Case in point is the 39-foot express cruiser he is repowering. One of the twin 7.4-liter gas inboards (385 hp) needs to be replaced. But complete assemblies of the 7.4 are hard to find because it has been replaced by an 8.1-liter engine. 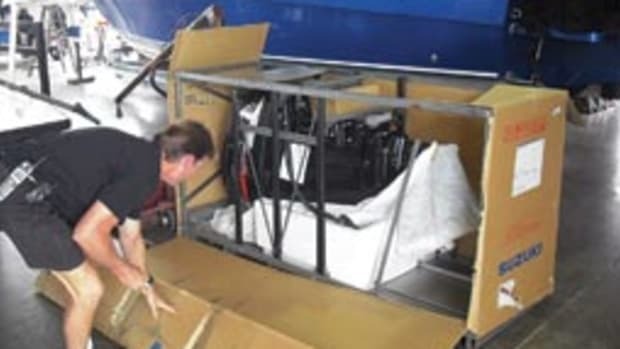 That means the owner will be forced to run two different engines in the same boat, which is not ideal, especially if he wants to sell the boat, says Klockars. The older the engine, the more complicated the conversion. Older twin-screw inboard boats may be powered with a “right-hand” and a “left-hand” engine, says Klockars. Today’s engines almost all turn in the same direction — to the left. A transmission that changes the direction of the engine’s output solves the problem, but it’ll cost you. A loose transmission can cost anywhere from $2,000 to $7,000. The price gets considerably less, however, when the transmission is bought with the engine. Space ranks high on the list of repower considerations. The dimensions of your new power plant need to be very close to that of its predecessor. 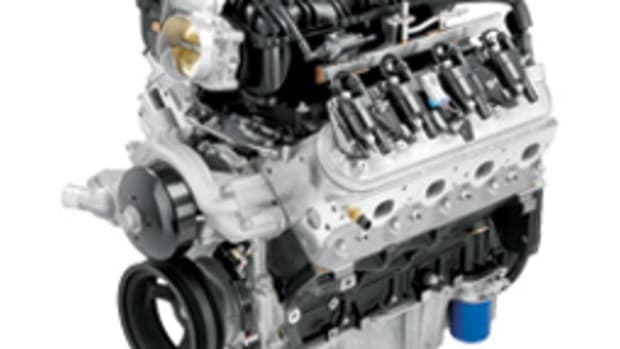 The motor-mount width and the height required for the new engine may be different than for the previous unit. Some owners want too much power. 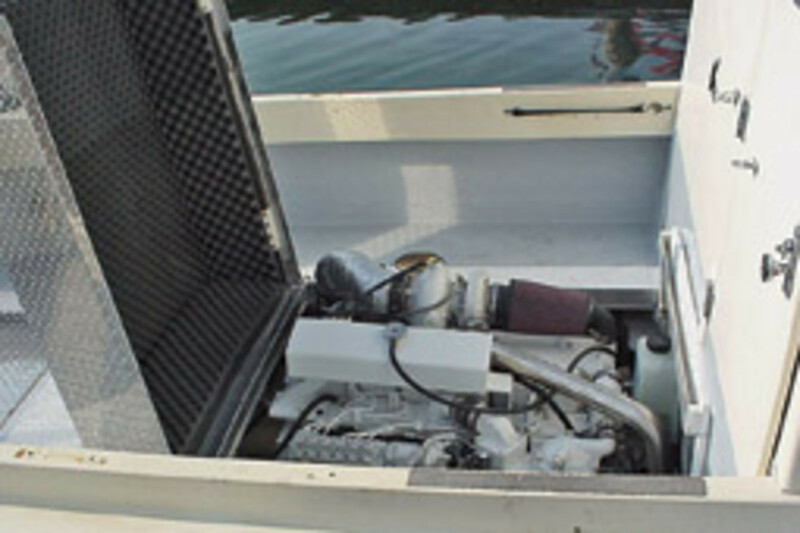 One of Bramble’s customers insisted on installing twin 625-hp Detroit diesels in his mid-1980s sportfishing boat, even after Bramble told him a pair of 435-hp engines would do the job. The boat reached 28 knots with the engines running at only 1,600 rpm. At full throttle (2,300 rpm), “The bow dug down, and the boat ran squirrely,” says Bramble. Contact the boatbuilder to determine the appropriate power, or try to talk to other owners of your model boat who have repowered, he says. The most important factor when contemplating a repower is expense. A bare-bones, single gas inboard repower (5.7-liter engine) will run from $9,000 to $10,000 installed. The aforementioned 39-foot express cruiser repower will probably cost the customer about $20,000 — and that’s for one engine, says Klockars. And the price tag would’ve been higher if switching engine brands was necessary, requiring the replacement of all the cables, harnesses, controls and instruments, he adds.